Barber Shop Chronicles Comes To Curve The April. Barber Shop Chronicles will be playing at the Leicester Curve from 3 – 6 April. 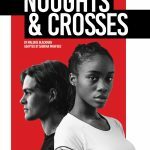 Inua Ellams’ internationally lauded production returns to the UK by popular demand following two critically acclaimed runs at the National Theatre, and hugely successful and extensive tours across Australia, New Zealand, America and Canada. Directed by Bijan Sheibani, Barber Shop Chronicles is a heart-warming, hilarious and insightful new play, that leaps from barber shop in Peckham to Johannesburg, Harare, Kampala, Lagos, and Accra over the course of a single day. Baber Shop Chronicles transports audiences from newsroom to political platform, confession box to preacher’s pulpit – gathering with African men in barber shops to discuss the world as they have for generations. A National Theatre, Fuel and Leeds Playhouse co-production, Barber Shop Chronicles is currently playing to rave reviews at Manchester’s Royal Exchange and will be touring across the UK to the Bristol Old Vic, Sheffield Crucible, Oxford Playhouse and Southampton’s Nuffield Theatre with further venues to be announced soon. Barber Shop Chronicles will also be returning to London for a limited 6-week season at the Roundhouse in the heart of Camden from 18 July.